With all of the confusion over what's healthy and what's not, lets get back to the basics and forget all of the marketing hype of Low-Fat, Lite, and Diet products. We need to eat real food. Bacon, eggs, butter, coconut oil, and grass-fed beef are daily dietary staples in the Coombs home - we'll just pass on the toxic chemical preservatives and trans-fats please. 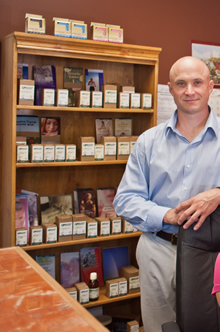 Why have a professional nutritional consultation with Coombs Family Chiropractic? With extensive training in nutrition and years of experience in patient care, Dr. Bryan Coombs can help guide you toward foods and products that meet your specific needs. This helps you reach your health goals effectively, along with saving you time and money. All sales of nutritional supplements in our office are based on a specific nutritional consultation by Dr. Coombs who is fully trained and licensed in Nutritional Consultation. Dr. Coombs is happy to review any vitamins or nutritional supplements you are currently taking and give you his honest opinion on their safety, effectiveness, and marketing claims. Make us your primary resource for wellness advice, dietary guidance, and professional nutritional supplements.